The Lego Friends have been finding themselves in all sorts of Lego MOCs lately. Especially in the Space or Science Fiction theme. 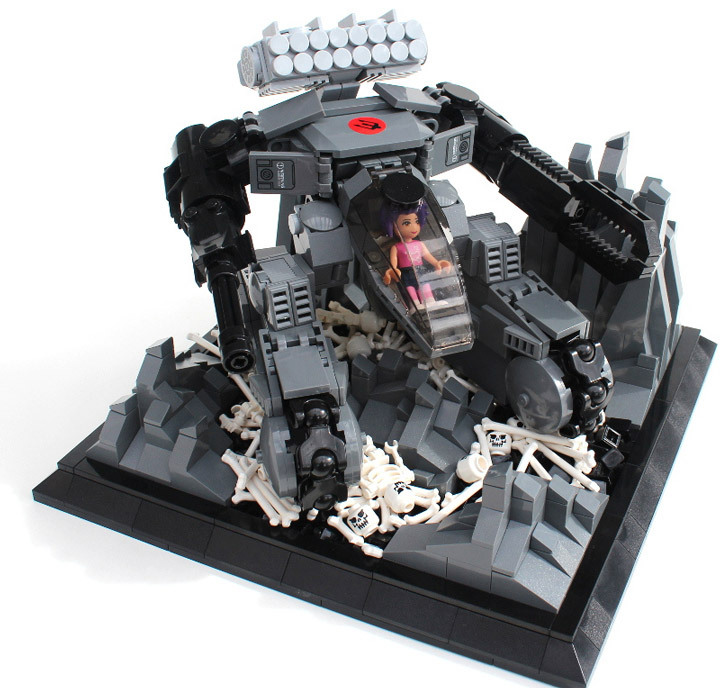 Bermudafreze, of Flickr, has build this deadly Lego Friends Mech. The Mech features a gatling gun, a massive clamp, missiles and bone crushing treads. In fact the treads are especially nice, built out of ball joint pieces. That idea looks great in this build. This mech unit is ready for whatever is thrown at it. ← Free Lego Batman Video Game Giveaway!